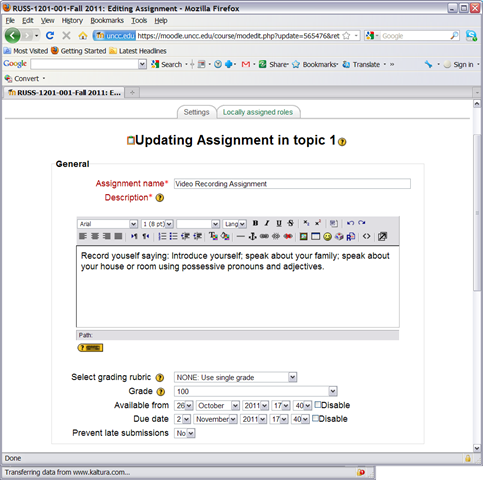 Home > all-languages, audience-is-teachers, e-languages, lms, Speaking, step-by-step-guides	> How a teacher creates and grades a Moodle streaming video assignment. 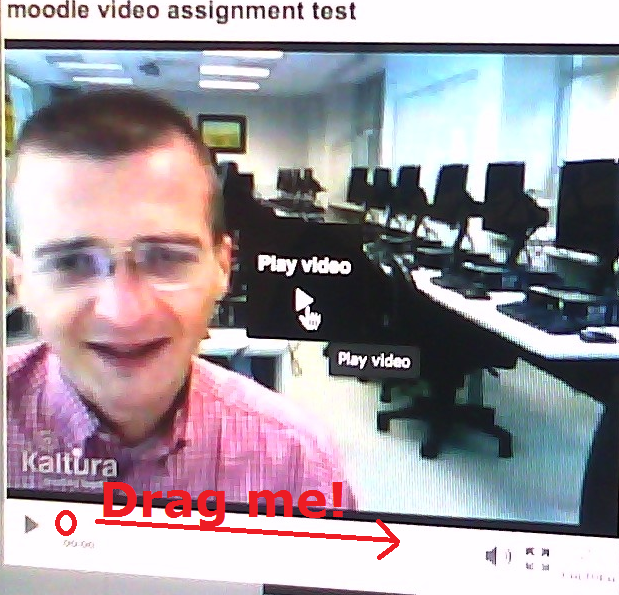 How a teacher creates and grades a Moodle streaming video assignment. where you are best advised to click on the button: “grade” to view the video submission, , or else you might run into this bug. 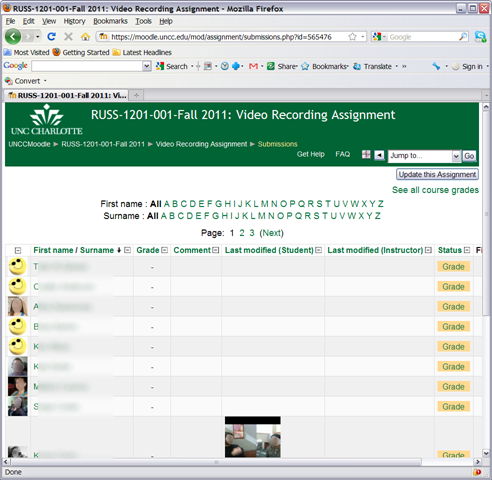 In the grading window, play the video, add helpful comments, if any, add final Grade and click “save and next” (but click “next” if no video submitted yet and you grade before the submission deadline. 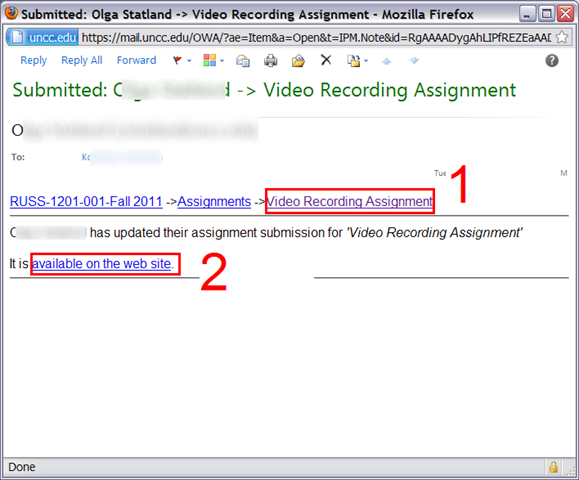 Better: do not grade before the submission deadline). 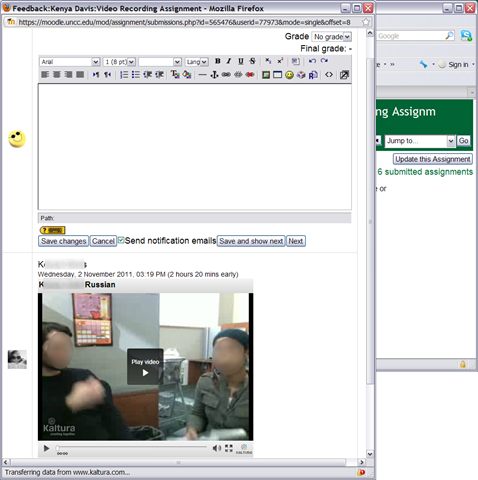 If video seems unwilling to play (frozen frame), drag the play cursor forward on the timeline underneath the video. If this does not unfreeze the video, let the timeline run to the end (both workarounds have helped with Kaltura issues we encountered here).